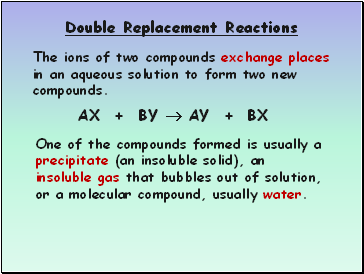 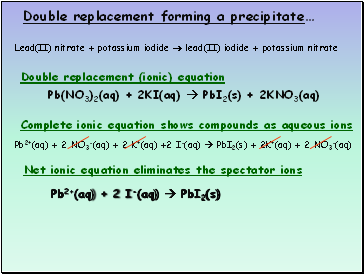 The ions of two compounds exchange places in an aqueous solution to form two new compounds. 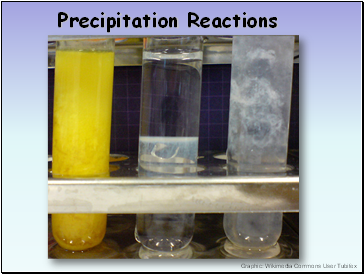 precipitate (an insoluble solid), an insoluble gas that bubbles out of solution, or a molecular compound, usually water. 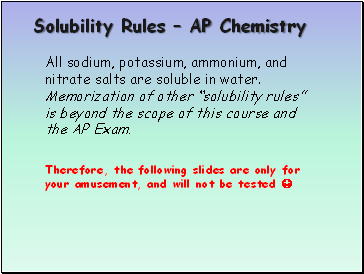 All sodium, potassium, ammonium, and nitrate salts are soluble in water. 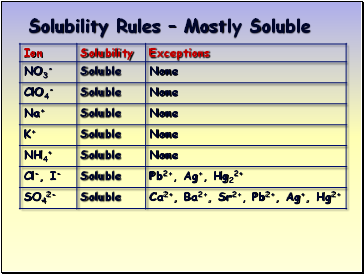 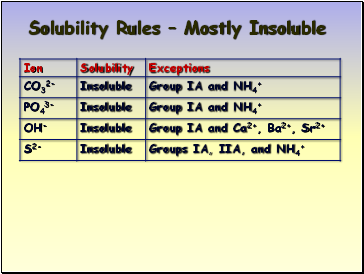 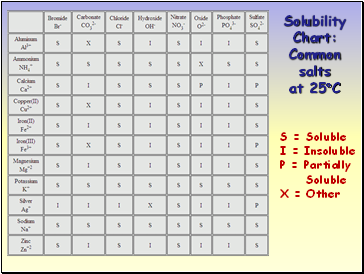 Memorization of other “solubility rules” is beyond the scope of this course and the AP Exam.